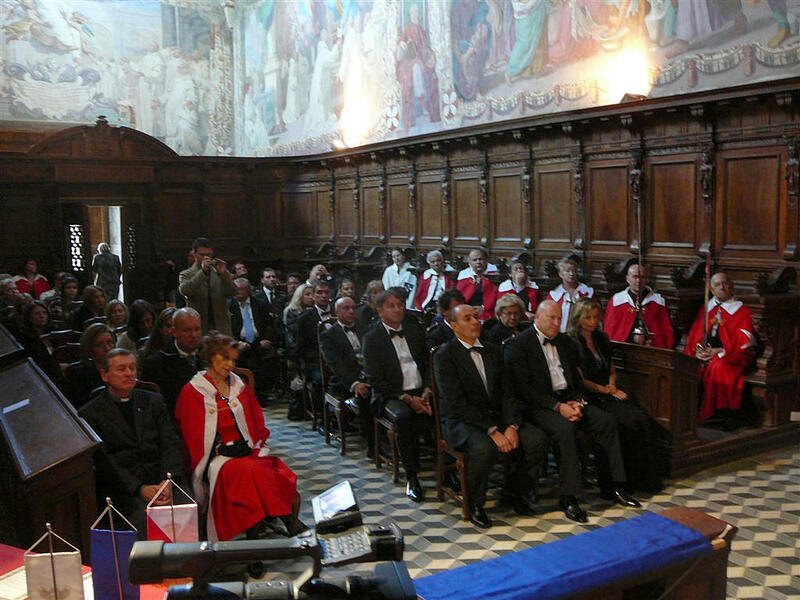 The Magisterial House of Sovereign Order of Saint John of Jerusalem, Knights of Malta, Federation of the Autonomous Priories (KMFAP) has the pleasure of informing everyone that the most recent official Ceremony of Investiture of new Knights and Dames, took place on the 28th and 29th of October, in Siena, in the heart of the beautiful Italian region of Tuscany, hosted and organized by the Grand Priory of the Italian Langue. 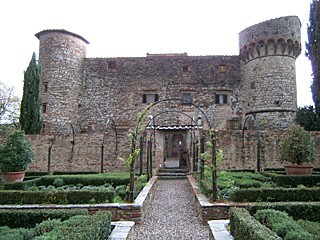 In the afternoon of the 28th of October, in the XIII Century Fortress Castello di Leonina Relais - Summer residence of Cardinal Fabio Ghigi, later HH Pope Alexander VII -, with the presence of many of our Italian Knights, took place the General Chapter of Knights to welcome the candidates to Knighthood. At this meeting was present the President of a group of parents of children with high special needs, to whom our Sovereign Order and State, through the Italian Grand Priory and our Femeraid International, will start to provide help and assistance. 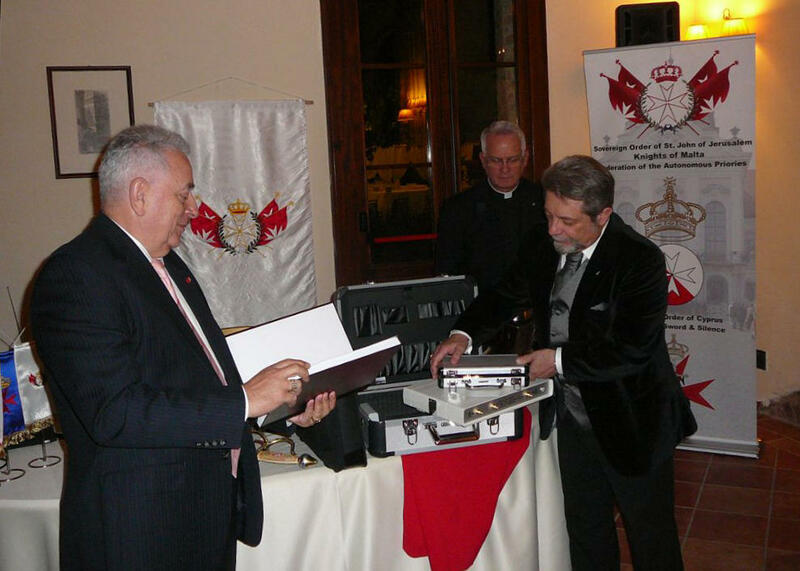 During the Meeting of the General Chapter of Knights, His Most Eminent Highness the Prince Grand Master, received from the hands of the Grand Prior for Hungarian Langue a very sophisticated equipment for medical treatments, destined to Femeraid International - Angola Unit, which operates under our Embassy to the Republic of Angola. This equipment, in the value of about 30.000 Euros, was donated to Femeraid International - Angola Unit by our Knight Sir Attila Erdöfi-Szabó, President of the Biolabor company. As usual in these events, after having discussed several matters, namely the recent growth and the subsequent new structure of our Femeraid International, and increasing the units' activity in many countries, the Candidates have received their Postulant Diplomas (being a Postulant, a Candidate to Knighthood – whose Application has been approved by the Magisterial Board of Admissions). After handling the Postulant Diplomas the Prince Grand Master conducted the Watch of Arms - a tradition coming from the Medieval Ages - assisted by His Grace the Lieutenant General and by His Excellency the Grand Prior for Italy. The event was followed by cocktails in a tent in the garden of the Castle at sunset and by a Banquet to Welcome the new Knights and Dames. 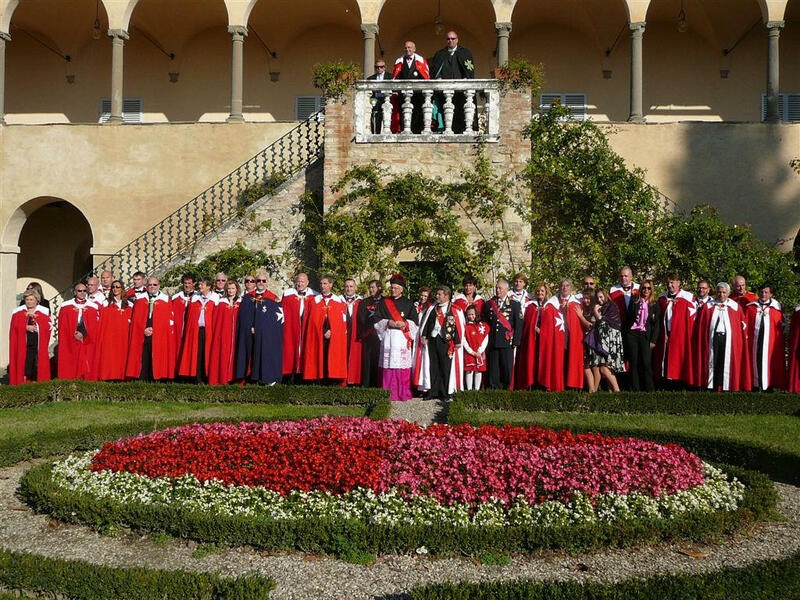 In the morning of the 29th of October, Knights, Dames, Candidates and Guests departed to the Carthusian Abbey “Certosa di Pontignano” founded in the XIV Century. Before the Ceremony of Investiture the Grand Prior of Italy, who is also a Reverend Monsignor and Prelate of Honour of His Holiness the Pope, celebrated the Holy Mess. 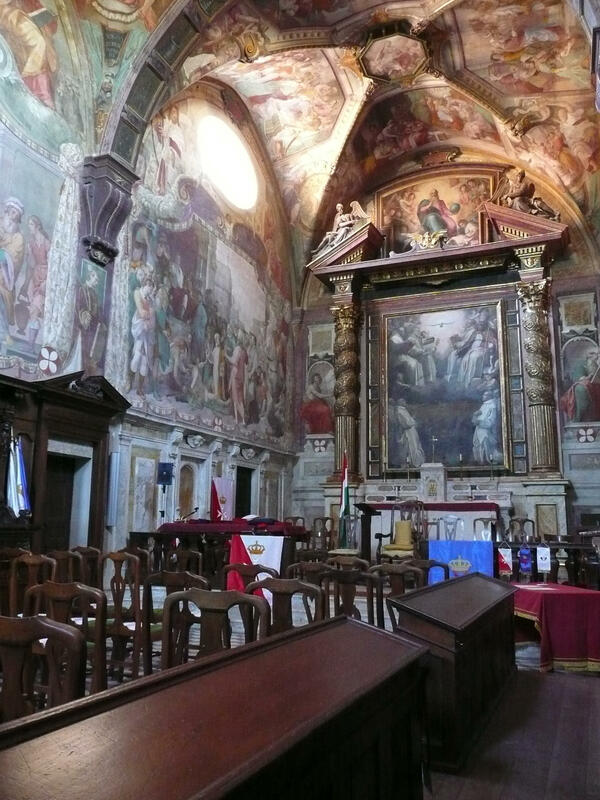 After the Religious Service the Ceremony of Investiture of the new Knights and Dames took place in the beautiful Cappela dei Monachi (Chapel of the Monks) - called by many the Little Sistine Chapel. 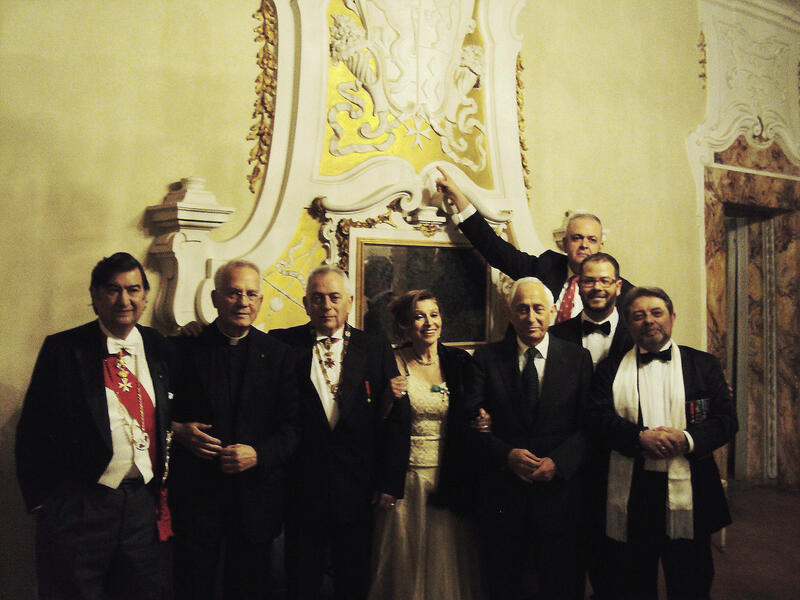 For this Ceremony the Italian Grand Priory and its Knights hosted other Knights, Dames and Candidates coming from 12 different countries, such as Bosnia-Herzegovina, Dubai, Hungary, Serbia, Angola, Spain, Portugal, Romania, Slovenia, and Syria among others. During the Ceremony a new donation was announced done by Sir Tibor Barsi (Hungary), who, after seeing the good results of our program destined to pay the studies of Orphans in Hungary and Cambodia, wanted to reinforce it. 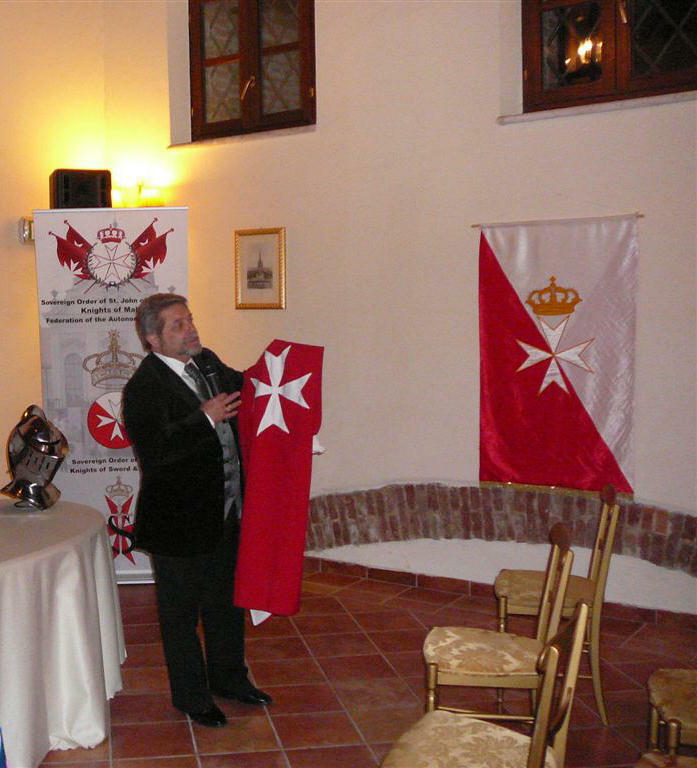 His Eminent Highness the Prince Grand Master and Head of the State, assisted by His Grace the Lieutenant General and Prime Minister and by the Eminent Grand Prior for Italy, invested upon nine candidates for the Order of Saint John and one for the Order of Cyprus, - coming from six different countries - the Knighthood and respective honours, and advanced several Knights of Grade. After the Ceremony the official photo with all participants was taken in the beautiful gardens of the Abbey. The Cocktails and Gala Banquet with medieval entertainment were served in the XIII Century Castello di Meleto, and the Knighthood Diplomas have been given to the new Knights and Dames in the very lovely little Medieval Theatre of the Castle. 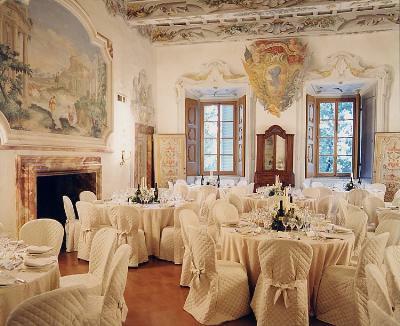 The Gala Banquet was followed by a chocolate feast – organised by the Maitre Chocolatier of the Meleto Castle – and the Italian Grand Priory offered to all participants a bottle of Chianti wine with a label so to commemorate the Ceremony of Investiture. At the Gala Banquet we had the honour of the presence of His Excellency Dott. Dario Perrucci – General Attorney of the Italian Public Ministry. In the year 2011 a total number of 26 new Knights and Dames from 12 countries of the world have been added to our Sovereign Order.